T.J. Dillashaw is supremely confident in how he matches up with flyweight champion Henry Cejudo and he hopes that will be his next fight in the UFC. T.J. Dillashaw still hasn’t received an offer for his next fight but he truly believes flyweight champion Henry Cejudo should be his opponent. Following a second straight knockout win over Cody Garbrandt back in August, Dillashaw immediately called for a fight against Cejudo that would pit champion against champion yet again. While that was a foreign concept during the majority of the UFC’s existence, it’s become a popular phenomenon lately after Conor McGregor faced Eddie Alvarez in 2016 and Daniel Cormier took on Stipe Miocic earlier this year. There’s already one more champion vs. champion fight scheduled with Cris Cyborg expected to meet Amanda Nunes in December and Dillashaw hopes to join them by facing Cejudo before 2018 is finished. “[Henry Cejudo] wants to claim himself as the greatest combat athlete ever ‘I’m a UFC champion, I’m a gold medalist’. I’ll go out there and beat you in wrestling. MMA wrestling is completely different. I’m the better athlete, I can beat him anywhere. I know I can watching him fight,” Dillashaw said when appearing on the Joe Rogan podcast. Cejudo has certainly made a case for himself as one of the most accomplished athletes to compete in the UFC after winning an Olympic gold medal in wrestling and then dethroning the longest reigning champion in company history in Demetrious Johnson in his last fight. While Cejudo has said he wants to go up to challenge Dillashaw at 135 pounds, the bantamweight king is much more interested in moving down to flyweight not only to collect another title but to also wipe out any excuses that he had a size advantage. According to Dillashaw, when he was in the middle of a media tour with Cejudo after both won their fights at UFC 227, he claims the flyweight champion was more than happy to face him at 125 pounds. 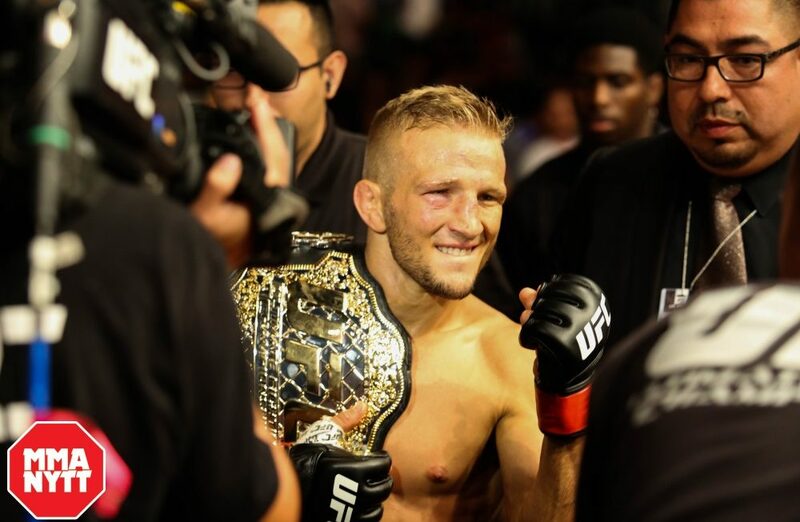 Now Dillashaw just hopes the UFC wants the fight to happen as much as he does.